Plastics have become such a common part of life for all of us. It is used as packaging for our food and drink, we bring them home from the supermarket, and to our workplaces, schools, or trips with family. They’re in our mobile phones, computers, containers, clothes, our kids’ toys, and even our toothbrushes. You will see plastic everywhere you look – even in the ocean. Approximately 1.15 to 2.41 million metric tonnes of plastic end up in the ocean every year, which has resulted in five massive patches of plastic in the oceans all over the world, the largest of which covers an estimated surface area of 1.6 million square kilometres – twice the size of the state of Texas – dubbed the “Great Pacific Garbage Patch”. This patch spans waters from the North American West Coast to Japan. If current pollution rates continue, a report by the Ellen MacArthur Foundation estimates that there will be more plastic in the sea than fish by 2050. Plastic is a polymer, which is a chain of organic molecules. Often, they are made of carbon and hydrogen, and sometimes also contain oxygen, nitrogen, sulphur, chlorine, fluorine, phosphorus or silicon. While plastics have their use and provide convenience, these are not worth the critical hazard they pose on our health and environment. According to the Center for Biological Diversity, single-use plastic bags, one of the most common types of plastic found in oceans (and which are used for only an average of 12 minutes) can take 500 or more years to degrade in a landfill. What’s more, these plastic bags don’t break down completely; instead, they photo-degrade and become microplastics. Plastic is now ubiquitous in our aquatic environments and fishing nets, which account for a huge amount of the mass in the Great Pacific Garbage Patch, are dangerous for aerial and marine life who often swim into, collide with, or alight on the material. Often they cannot disentangle themselves resulting in the death of the animal involved. Aside from posing entanglement risks, plastics are also often confused for food because of their size and colour. Scientists also recently learned that seabirds, fish, whales and other marine critters are eating plastics in the ocean because they smell like food. In February, a young sperm whale washed up on a beach in South Eastern Spain. Scientists performed an autopsy and found 64 pounds (29 kg) of waste, mostly comprised of plastic, including nets, plastic bags, and a plastic drum. Its death was found to be most likely caused by the build-up of debris in its digestive system, thus causing an infection. Think about it: the chemicals present in plastics enter the body of the animal feeding on it, and as this animal becomes the prey, it passes whatever chemicals it has absorbed onto the predator, upsetting the food chain, therefore if fish are eating the plastic and absorbing the chemicals found in them, and we’re eating the fish, then we’re eating the plastic and absorbing those chemicals, too. Microplastics are tiny pieces of plastic that can range in size from 5 millimetres down to 100 nanometres in diameter. While most studies that have been conducted thus far have analysed only the contents of the gut and stomach of fish, one study has found microplastics in fish liver. This suggests that particles travel from digestive tissues to other body parts of the fish. Plastic fragments are also present in sea salt, with one kilogram containing over 600 microplastics. The world is facing a crisis and nations are scrambling to put an end to plastic pollution in the sea, with nearly 200 countries signing a United Nations resolution to eliminate ocean plastic pollution. Under this resolution, countries agreed to monitor the amount of plastic they put into the ocean and made commitments to reduce this amount. Nevertheless, the final resolution published in December 2017 has no timetable and is not legally binding. Instead, it recommends the prevention and reduction of all kinds of marine pollution for all participants, as well as the prioritisation of policies that prevent plastic wastes from entering oceans. The discovery that plastic poisoning killed the sperm whale found in Spain prompted the regional government to launch a widespread clean-up and awareness campaign. This year, Canada made it clear that it will use its G7 presidency to persuade nations to take action on plastic and keep it out of the ocean. In Australia, single-use plastic bags have been banned with many other countries following suit, either imposing bans or taxes on single-use plastic bags. In the U.S., where 500 million plastic straws are used every day, numerous restaurants have begun putting policies in place to eliminate the use of plastic straws. Most developed countries have long had rigorous recycling and waste disposal systems in place. However, recycling on its own is not enough to solve the problem – not when plastic bottles are more often repurposed into non-recyclable carpets and synthetic clothes that then end up in landfills, rather than being recycled into new bottles. 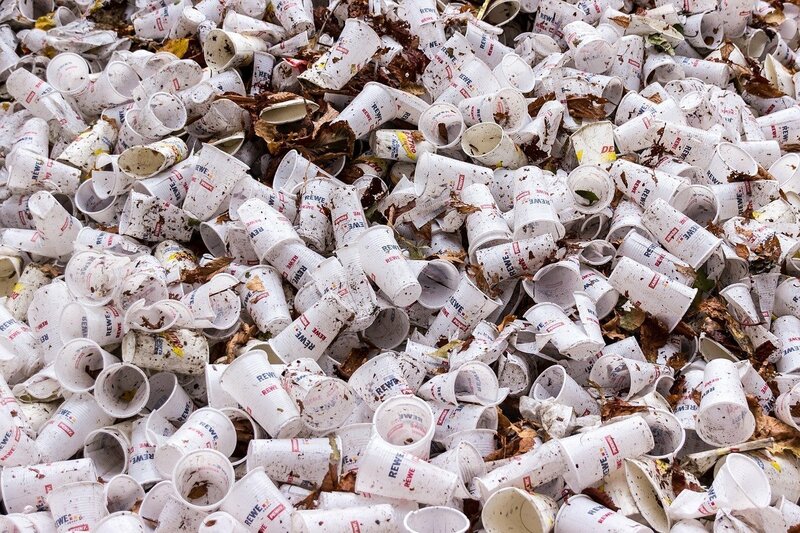 Almost every drink we purchase is packaged in new, not recycled, plastic. Anti-plastic campaigns can make a difference by raising awareness that can lead to lifestyle changes over time. However, it is going to take more than recycling and banning single-use plastics and straws to eliminate plastics from our oceans. Consumers, corporations and governments are going to have to work together to clean up our oceans and ensure they remain plastic-free by making sure that plastic products and packaging don’t become waste in the first place. Consumers and companies alike have a responsibility to work with our government efforts to solve the ongoing crisis by reducing our plastic footprint. More and more private companies are starting to act on the issue. After numerous appeals from customers and environmentalists, McDonald’s has pledged to make its packaging and restaurants more Earth-friendly, vowing to completely eliminate foam packaging by the end of 2018. Various travel and hospitality companies are cutting down on plastic consumption. In the U.K., over 40 companies have pledged to cut unnecessary single-use plastic packaging by 2025. At Envirofluid, we reduce the amount of plastic by up to 7000 percent by supplying super concentrated, biodegradable and plant-based chemical products that can be diluted to very high ratios. Because they are highly concentrated, a little goes a long way. Many of our products can be used for numerous applications, so you don’t need a lot of different products. Not only do our customers save money on the products this way, they are also doing their part for the environment by not having to stock up on too many containers of products at one time. It is going to take a long time to successfully address the mounting global plastic crisis. The important thing is that we all come together to do our part to ensure a better world for future generations by reducing our plastic footprint, advocating for change in our communities, and supporting initiatives geared towards eliminating plastic waste. Jovanović, Boris. (2017). Ingestion of microplastics by fish and its potential consequences from a physical perspective: Potential Consequences of Fish Ingestion of Microplastic. Integrated Environmental Assessment and Management. 13. 510-515. 10.1002/ieam.1913.